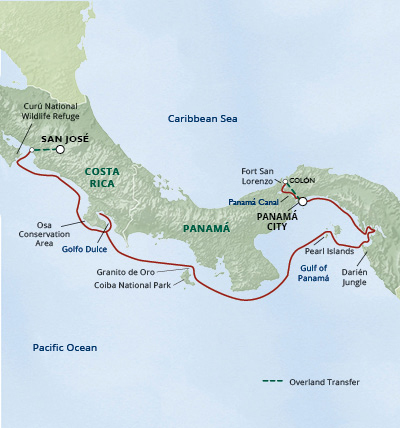 Tropical rainforest, coral reefs, abundant wildlife and endless beaches - cruise through the pristine waters of Panama and Costa Rica in this small ship cruise with UnCruise Adventures. 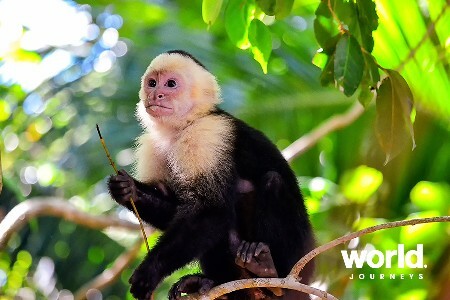 Over 11 days, you'll visit the UNESCO World Heritage sites of the Darien Jungle, Coiba National Park and Fort San Lorenzo, go in search of marine life in the Gulf of Panama, spot howler monkeys, scarlet macaws, white faced capuchins and sloths while hiking the jungle, and snorkel through the reefs of Las Perlas and Granito de Oro islet. YOUR SHIP Discreet, classy, and stealth, the Safari Voyager is comfortable in warm water regions and built to handle humidity and heat. 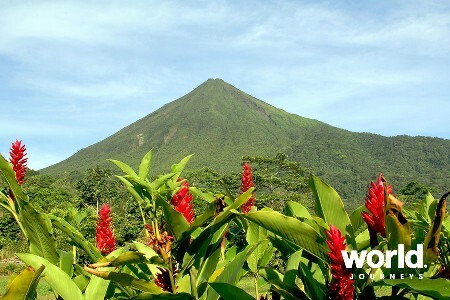 Tropical adventure, wilderness access, and the natural landscape are always at the forefront. 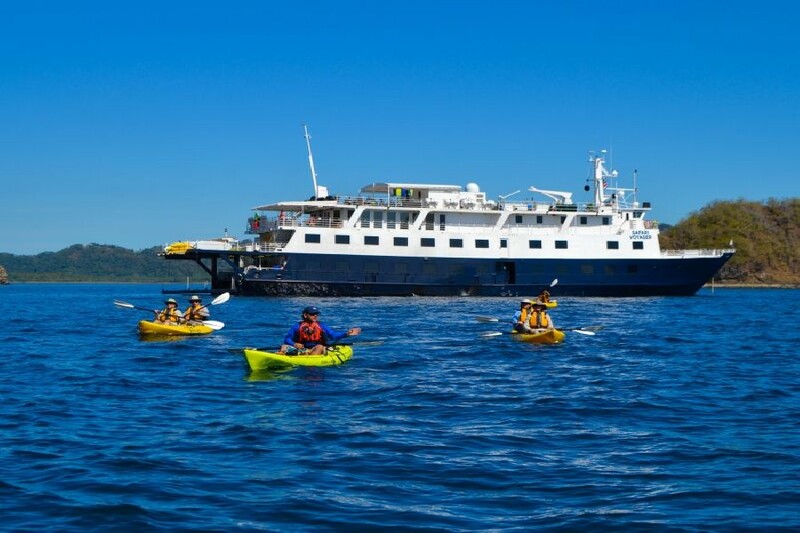 A seamless extension of the places she sails, the ship and her mostly-local crew exude pura vida (pure life). 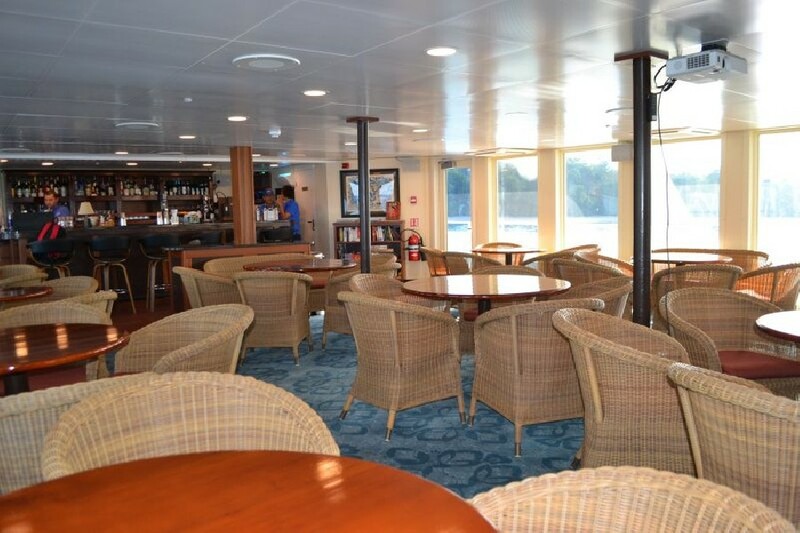 Handcrafted artwork throughout the vessel and in each cabin pays homage to the regions of Costa Rica and Panama. Casual in nature, the Safari Voyager is a bit of a show-off too - take in 270-degrees of view from the top deck or window-to-window in the air-conditioned lounge. Day 1: San Jose, Costa Rica - Embarkation You'll be greeted at the airport upon your arrival and swooped off to the hospitality suite before transferring to the vessel for a warm welcome from your captain and crew. Toast to adventure over dinner as you sail along the Pacific coast. Day 2: Curu National Wildlife Refuge At the southeastern tip of Nicoya Peninsula - in the tangled mangroves of Curu - the cycle of life is everywhere. Local "residents" include everything from exotic birds and deer to leafcutter ants, snake-eating frogs, and hungry crocodiles. Step carefully as you cross the swinging bridge, you don't want to land on the menu! Land crabs shift in and out of their burrows with such force it's enough to make the earth move. Trails offer prime howler and spider monkey viewing, and a chance to glimpse the immense blue morpho butterfly. An afternoon beach party offers up a chance to swim and stroll along the shore. Day 3: Osa Conservation Area Adventure lies around every bend in the isolated, wild Osa Conservation Area, home to the country's largest national park, Corcovado. Drake Bay, named after its discoverer Sir Francis Drake and fabled to house the explorer's hidden treasures, is also known for hundreds of distinct species of plants and trees and its diverse plant and animal species. 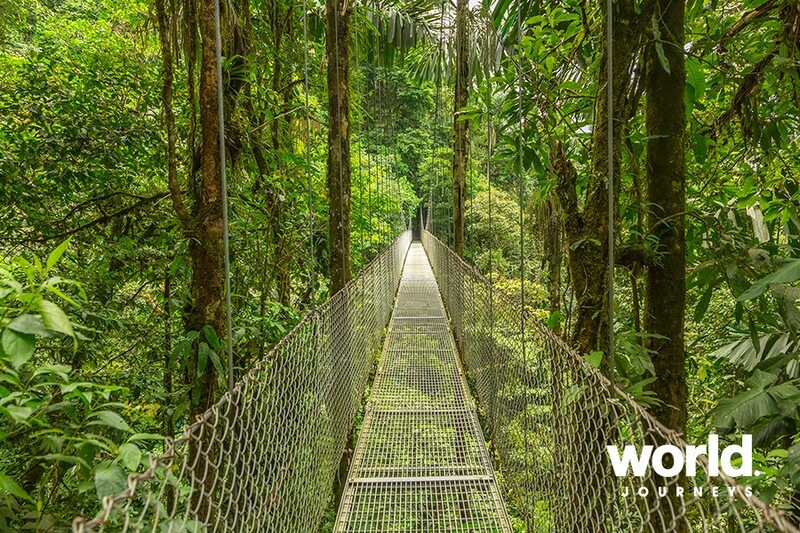 A whopping 2.5% of the entire planet's biodiversity is found here - including all four of Costa Rica's monkeys, tree frogs, caimans, anteaters, scarlet macaws, coatis, and 16 different species of hummingbird. Explore this vast area putting feet to trail on an invigorating hike through the jungle. At the end of the day, enjoy the sunset and retell stories of the day with your travel-mates. 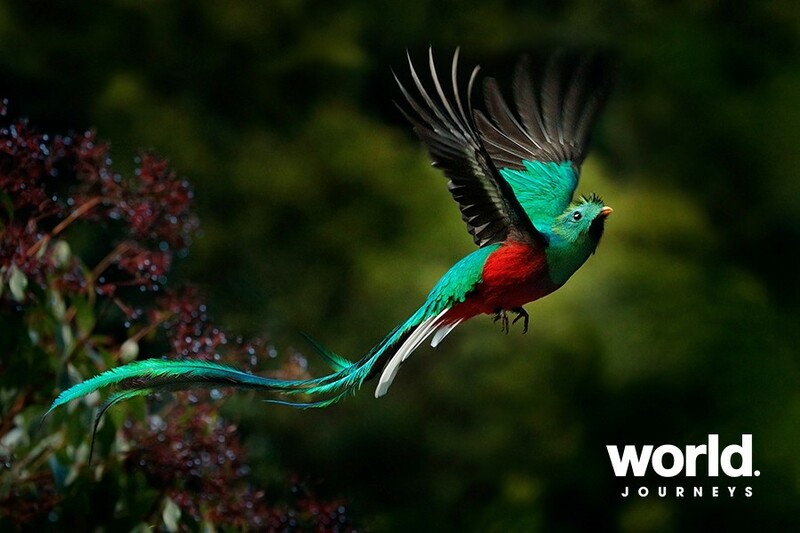 Day 4: Golfo Dulce A birder's haven, explore a botanical reserve exploding with vibrant colour. From bromeliads, ginger plants, and heliconias, to toucans, hummingbirds, mischievous monkeys, and fluttering butterflies - there's a kaleidoscope of sights, sounds, and tastes in every tree and bush you pass on your walking tour. In Golfo Dulce, the "sweet gulf" which separates Osa Peninsula from the mainland and one of only four tropical fjords on the planet, explore the rare flora and fauna of mangroves by kayak and skiff. Bottlenose, spotted, and spinner dolphins also swim in the waters of this tucked away wilderness. Day 5: Granito de Oro, Coiba National Park Sail through the islands of Coiba National Park, making a stop at Granito de Oro islet. Offering a little bit of everything despite its small size, volcanic outcroppings at either end of this tiny landmass and a dense, mini-jungle in the center connect with a dreamy white sand beach. Named one of the world's top 10 diving sites, your day of play features snorkelling among abundant marine life, kayaking around rocky outcroppings, and lounging on the warm sand for a casual beach party with the local hermit crabs. Hop to the park's main island for a stretch of the legs on a trail through this tropical jungle. 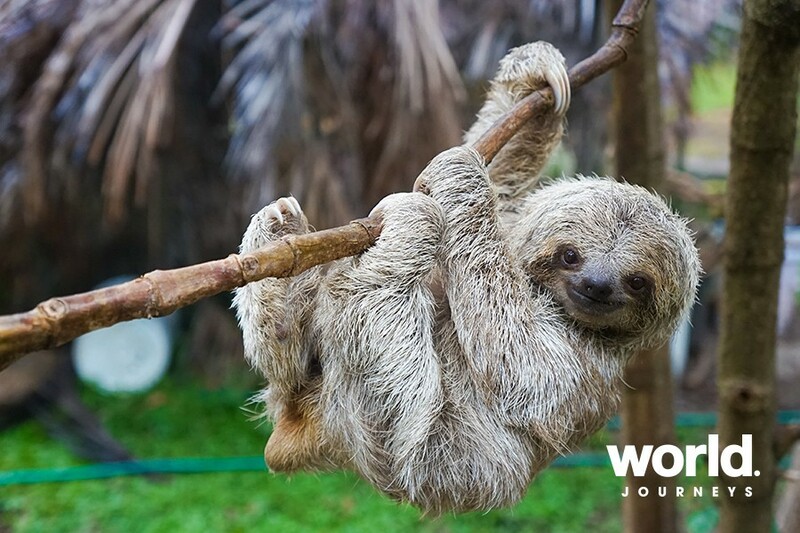 Mantled howler monkeys, scarlet macaws, and two turtle species call Isla Coiba home. Day 6: Captain's Choice Wake up in paradise. Start with fresh-brewed coffee and a little limbering up with guided stretches on deck. As always, the hardest part is picking the "what. " Your guides know the trails and help you spot monkeys, hummingbirds, and towering balsa trees. Slip into the drink for a kayak or snorkel. Go exploring by skiff. Or, just kick back in a hammock under swaying palms. Then it's cruising time. Settle into a comfy lounge chair and take in the views. 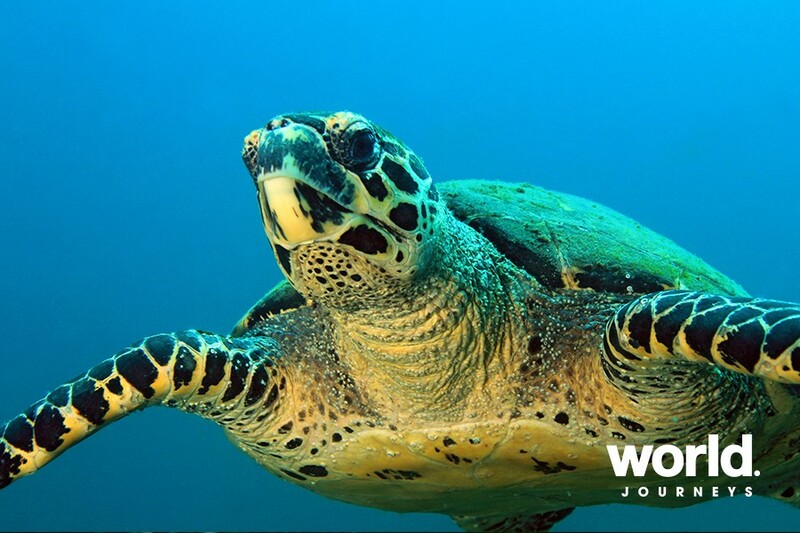 Day 7: Gulf of Panama | Marine Life Search Cruise through the diverse isles and atolls in the Gulf of Panama hosting hundreds of avian and marine mammal species. Guides give presentations and your captain determines the best locations and activities based on what nature delivers. And be on the lookout for a silvery glint streaking across the water - it could be mobula rays taking flight. Day 8: Darien Jungle The Darien Jungle is about as timeless today as it was 500 years ago. Traveling the Mogue River by motorized canoe, your expedition guide helps you spot wildlife - colorful roseate spoonbills, ibises, osprey, and raccoons fishing from the water's edge. Delving deeper into this mysterious, almost mythical place, you get to meet the locals. Embera villagers offer a traditional welcome and share customs, stories, songs, and dance. The tip of the day, buy handicrafts from the villagers. Their highly prized and intricately woven rainforest baskets are keepers. Celebrate this unforgettable voyage with a special farewell dinner, and then join your expedition team for a slideshow highlighting the week's adventures. Day 9: Pearl Islands Archipelago | Panama Canal Discovered by Spanish conquistadors and named for the flood of pearls found, the 90 islands and nearly 130 islets of the Pearl Islands are now almost entirely uninhabited by humans and instead boast a plethora of tropical flora and fauna. Gear is simple today - have your binoculars handy for superb bird watching on a skiff tour of Bartolome Island's bird sanctuary. Magnificent Frigatebirds, Brown Pelicans, and Yellow Warblers are likely to pop into your field of vision. For more exploration, select your modus operandi - kayak, paddle board, skiff, or snorkel - and set out in a nature lovers' dreamscape. 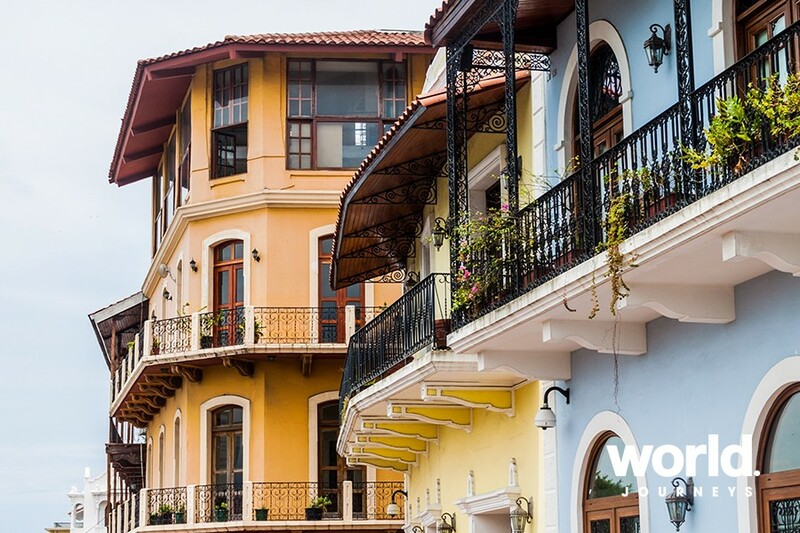 Take in the whole of it, as you prepare for one of the most memorable travel experiences - transiting between two seas along the 48-mile marvel, the Panama Canal. The lock authority gives the final go ahead for your evening transit. Join your shipmates on deck for a toast as the canal lights up and the temperature subsides. A story of engineering and human tenacity, it took over 75,000 workers to build it, and takes you about eight hours to transit. Day 10: Fort San Lorenzo It's your last day, and it's a big one. Take in a little history and a "walk on the wild side" among the battlements and canons of San Lorenzo Fort. This UNESCO World Heritage Site was built in the 1500's by the Spanish crown as a military stronghold and sacked multiple times by swashbuckling pirates. Cap off your week with a celebratory Farewell Dinner, and then join your expedition team for a slideshow highlighting your adventures. 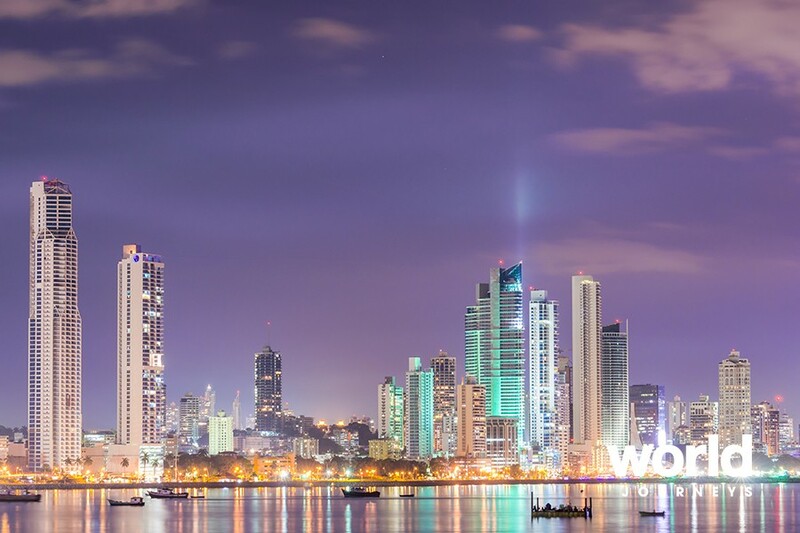 Day 11: Panama City, Panama - Disembarkation After an early breakfast, bid adios to your crew. Make a stop at the Agua Clara Visitor Center. 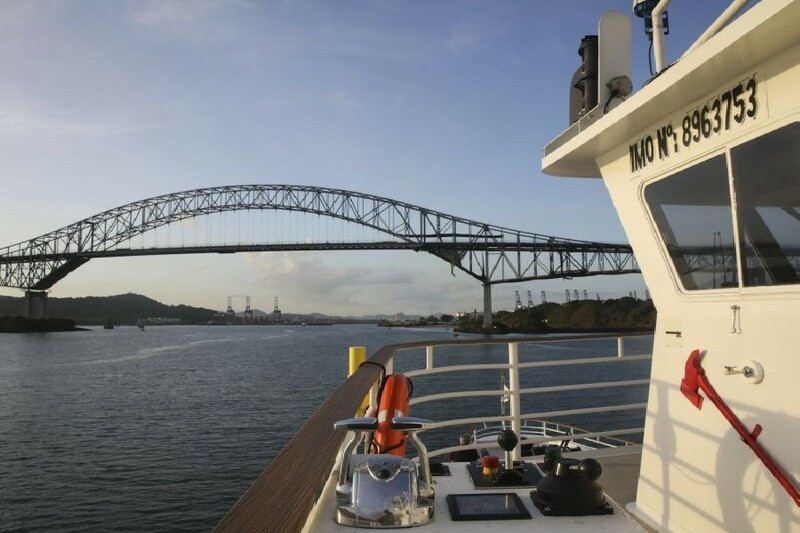 Take in the views of Lake Gatun and the newly expanded locks. Then your transfer continues, taking you to the airport for your flight home or to begin you optional UnCruise hotel stay.